Replacing the cabinets in your kitchen is not always is affordable nor practical. But if you want some changes in your kitchen, you can do that by simply upgrading it a bit. Here are a few tips that will help you get a brand-new look for less. If you’re looking for the cheapest and simplest way to renovate your cabinets, just use a splash of colour. Are your kitchen cupboards are little dated, but still in good condition? Add some fresh coat of paint and give them the update they need. You’ll see for yourself how well that would work. Go for the classic and old style look of the ’60s by replacing the knobs. Some vintage hardware will add some boldness to your kitchen. And the opposite – finding metal handles will make your kitchen look more contemporary. Pull the doors off and make your kitchen look larger. 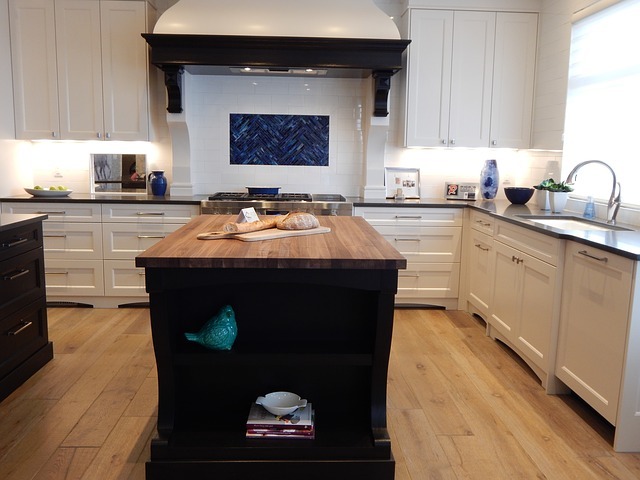 Show some of your favourite things, like jars, cookbooks, or stylish dishes with these open cabinets. For other interesting result, you can paint the inside of the cupboards with contrasting colours that will complement your décor. Here’s another way. 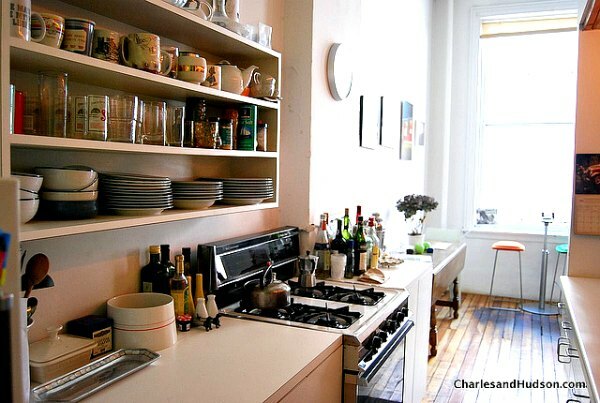 If you don’t want to leave your dishes exposed, just add a glass cabinet doors to reach the same effect. If you have beautiful dishes that you want to display proudly in your kitchen, just add a plate rack. It will become an interesting focal point in your kitchen. This is the other way to incorporate an accent colour into any kitchen for more detailed design. If you like the open cabinet style idea, hang a little wallpaper to the inside of your glass-front side of your cabinets. This will seem like a form of art, too. It is also a great way to make your room colourful. You can create a command centre with your kitchen cupboards. Make your grocery list or a schedule of appointments for the week using little chalkboard paint. Here’s another way if you want to keep the information hidden – just make the same thing inside of a cupboard door. It works just as good. The kitchen cabinets really affect the entire style of your kitchen. So take a look at their existing layout. If there are flaws in the layout, it’s better to fix them first and make other upgrades after that. And remember – if you can’t fix the problem by yourself, you can trust our kitchen renovation pros in Melbourne at all times. Talking to our experts to carry out any home upgrades will save you serious cash and time. Interesting: Want some more useful renovation tips? Check out the Sustainability Victoria’s website.